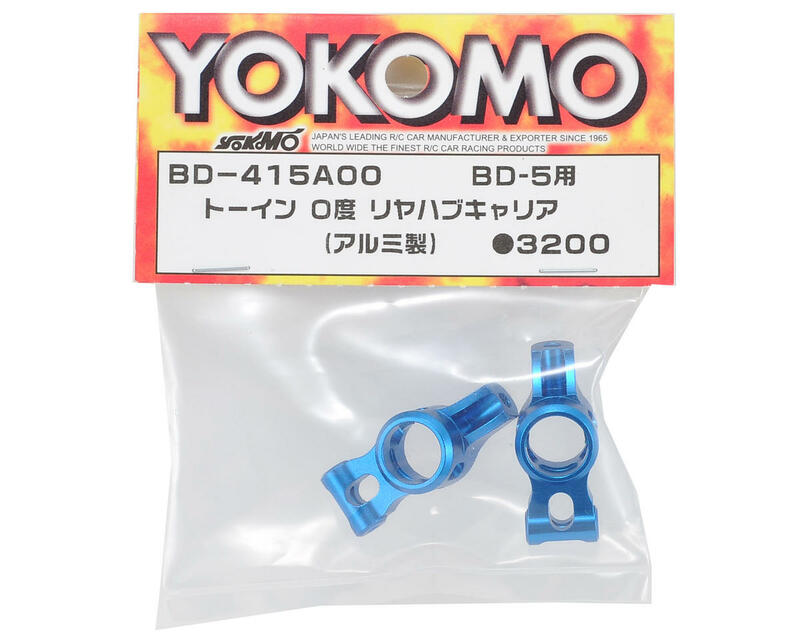 This is an optional Yokomo Aluminum Rear Hub Carrier Set, and is intended for use with the Yokomo BD7 1/10 scale touring car. 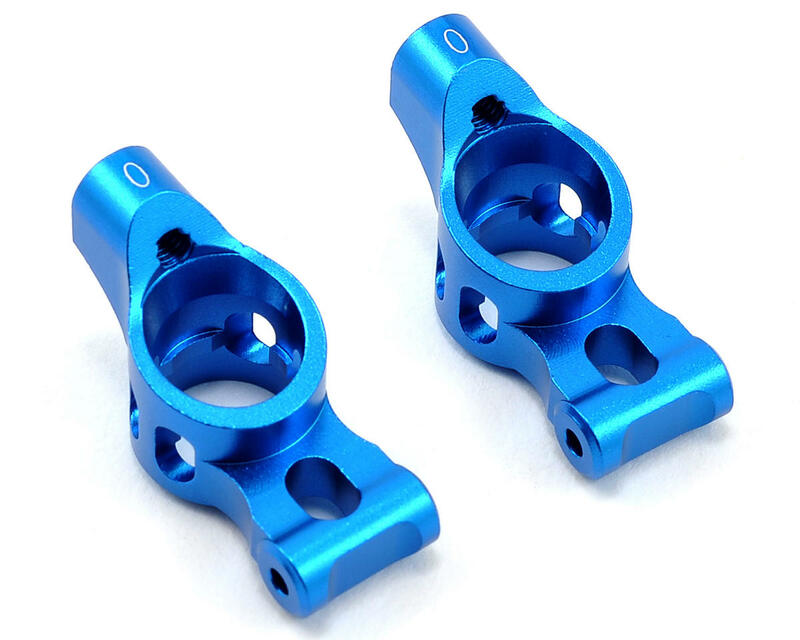 These aluminum hub carriers carry zero degrees of toe and provide an increased sense of stability over the stock plastic hubs. The stock hubs included with the BD7 are also zero degrees.